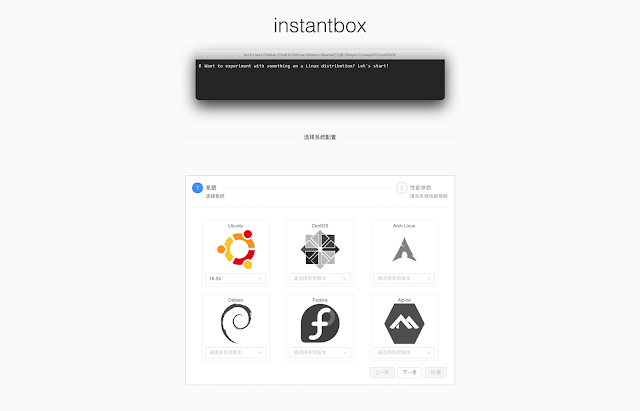 Get a clean, ready-to-go Linux box in seconds. It's a project that spins up temporary Linux systems with instant webshell access from any browser. What can an instantbox do? Which Linux distributions are available? We currently supports various versions of Ubuntu, CentOS, Arch Linux, Debian, Fedora and Alpine. Please submit an issue or join the conversation on telegram.